Email us your needs and we'll make sure garage door repair services will be completed as soon as possible! We understand the importance of fast services and our Garage Door Repair in Washington has created the right infrastructures to support them efficiently. Thanks to our outstanding equipment and the expertise of technicians, problems are solved fast. So, don't hesitate to report issues before they expand. Do you need immediate garage door replacement? We carry the best door panels of top quality materials manufactured by the most distinguished industries. 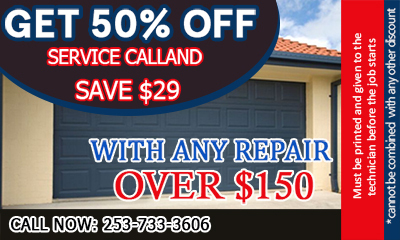 Garage Door Repair Spanaway will offer you the best there is and you will also have full technical support by experts, who specialize in garage door installation. We make sure all properties are secure with great garage door service. Email your requests now!